Personalize the front of this tee for your special occasion! How Many Would You Like of Each Size? 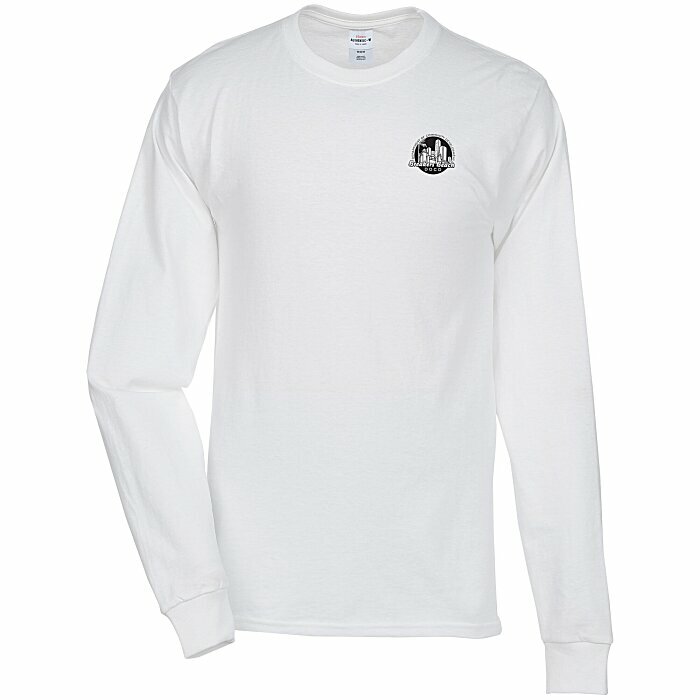 This heavyweight long-sleeved T-shirt is great for keeping employees warm during the cooler months. The printed label won't fade, wash off or itch. Features shoulder-to-shoulder taping, a coverstitched collar, and double-needle stitching at the cuffs and sleeves. The Hanes® Tagless T-Shirt is made with 6-oz, pre-shrunk 100% cotton material. Your price includes a one-color imprint on the left chest of the shirt. Set-up charge: add $40 for the first color/location; add $15 for each additional color/location.